It’s not often that a game gets a 5 out of 5 from the StickSkills staff, but we feel Level-5 and Studio Ghibli’s Ni No Kuni: Wrath of the White Witch deserved every bit of the praise it received. Now, we’re giving you a chance to experience the adventure of Oliver and his comical companion Drippy without spending a single penny. The fine folks over at Namco Bandai were nice enough to supply us with an extra PSN code of the game, so we thought it’d be best to hand it out to one lucky reader. What do you have to do to win it? First, read the review. We’ll give you a second. Good? Great! 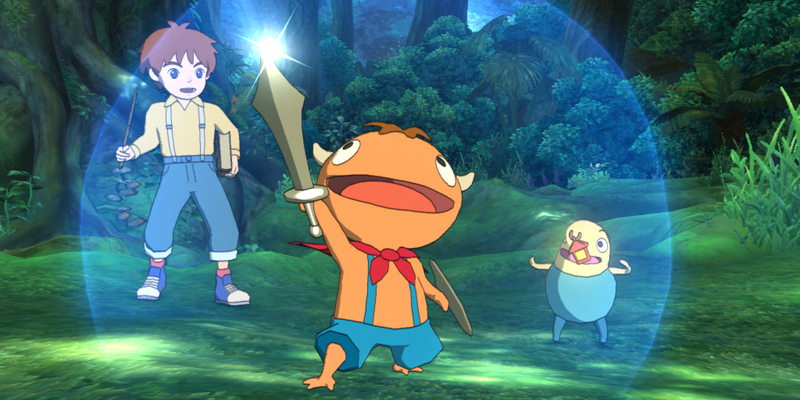 Now follow the instructions below and you could be the owner of a Ni No Kuni code. The contest will last until Wednesday, so get your submissions in as soon as possible. Good luck!